As US and China are locked in a trade war, many international corporate and manufacturers have relocated their headquarters to Ho Chi Minh City. 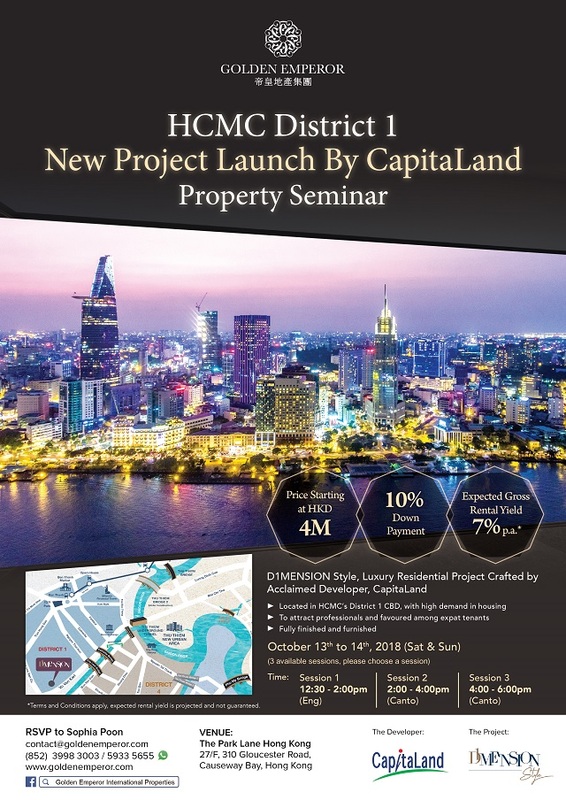 HCMC benefits from such advantages including its soaring property market. Property developments located in the city’s prime locations are seen to excel in value and are favored among investors worldwide. 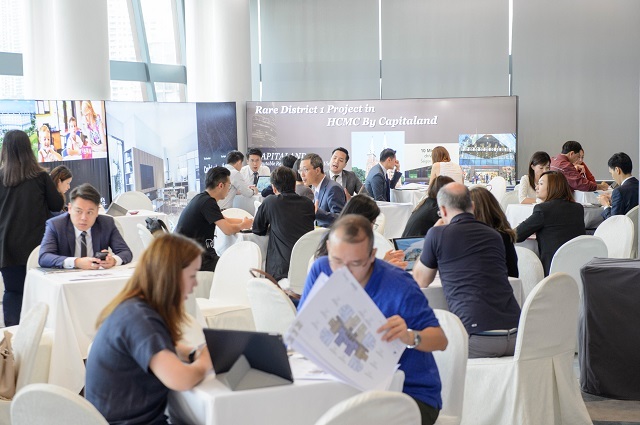 Golden Emperor Properties hosted a HCMC District 1 Property Market Seminar over the past weekend and launched CapitaLand’s latest project, D1MENSION Style, in the center of the finance hub of District 1. 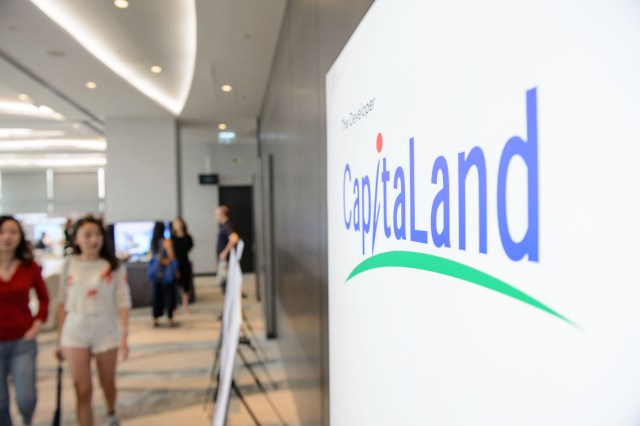 The seminar attracted a number of investors in Hong Kong. 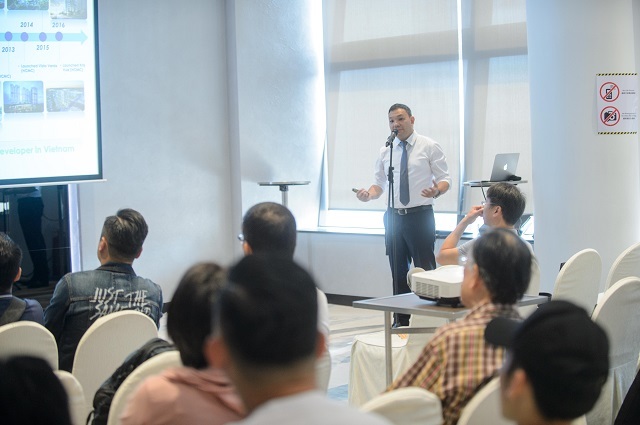 Photo Above: Managing Director of Golden Emperor, Mr. Terence Chan, discusses the current market trend of HCMC. Photo Above: The 2 day seminar received a wide amount of support.